Yesterday started out like most other days here: a bit chilly and damp, with lots of sea fog rolling in over the beach. 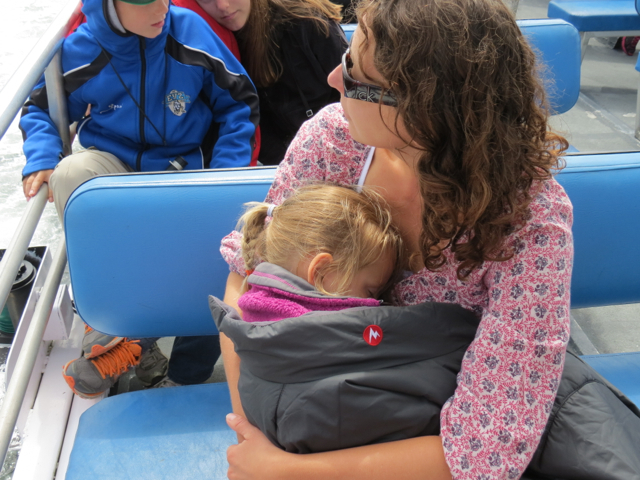 (It’s not always like this here – when we were here 9 years ago it was sunny and warm every day…) Despite this, we decided to take a boat trip out and gave the girls the choice: bears or whales. Obviously they chose both! That not being a viable option for a short boat trip we had a vote re-count and whales came out as the winner (we’ll try and see some bears and wolves today instead). We headed over to Jamie’s Whaling Station, after a quick sandwich for lunch (which I would regret later…), got on the boat and sat on the top deck near the front for the best views. The weather had cleared up by the time we’d got to Tofino so the sky was partially blue, the sea fog at a distance and the waters were calm. Perfect! 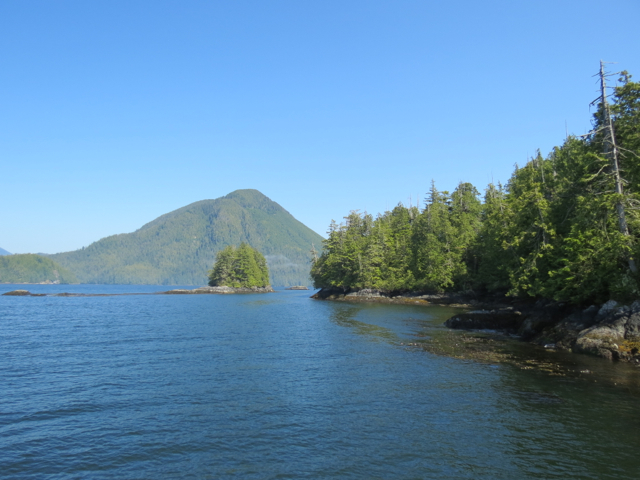 The waters around Tofino are filled with islands, small and large. Some inhabited, others not. The islands are all covered in trees and some are mountains, but all of them are beautiful. 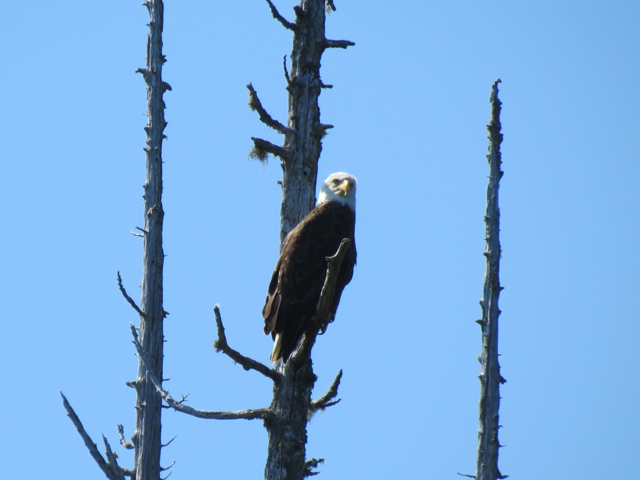 It was a treat to get up close to them as we glided past them on calm waters. The girls were very excited and the Little One spent a lot of time holding onto the rails, jumping up and down. The Big One didn’t move – she’d secured her place at the side of the boat with the best view and was not going to move for anything! 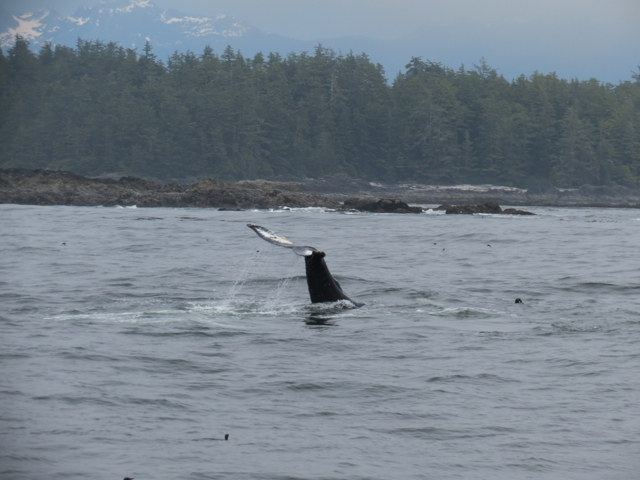 A humpback whale and then a grey whale and then we were all seeing whales – mainly humpbacks. Every time there was a whale sighting the boat would stop and we’d watch the whales spouting, showing their backs and then flapping their flippers in the water or waving their tails. It was absolutely amazing. We spent 90 minutes watching whales feeding and diving. 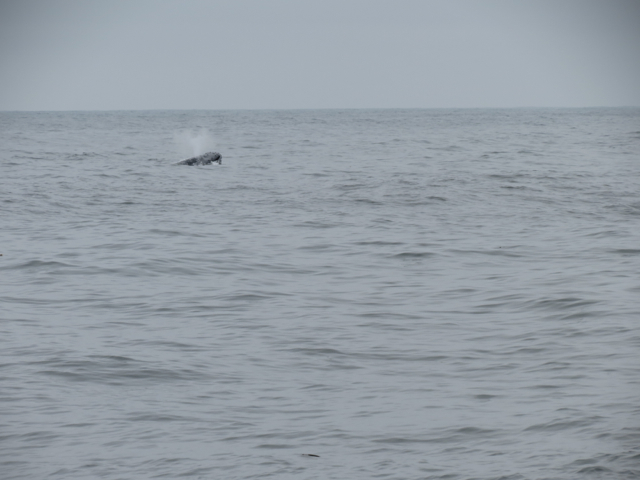 We even saw a mother and baby swim past and another whale surfing over the waves. It felt like a real privilege to see the whales in their natural environment. 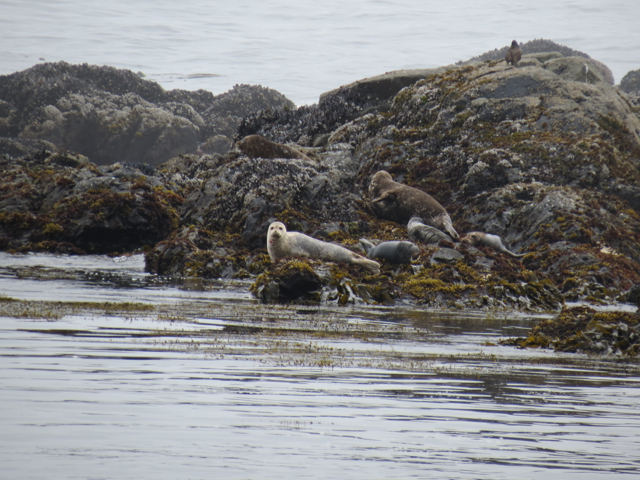 We then headed to some rocky islands to see seals and sealions, as well as a bird colony where 9 pairs of puffins nest. Both the girls and I were now feeling quite sick after 2 hours of big waves so we cuddled up under my Lovely Husband’s coat and the Little One went to sleep. 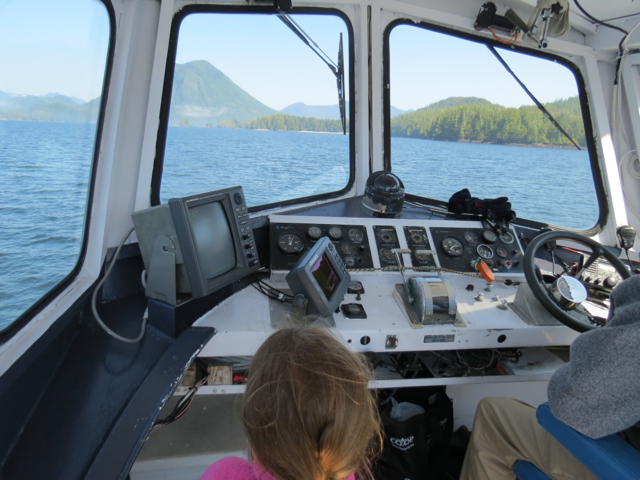 We headed in to calmer waters and back in amongst the islands. We all immediately felt better and the Big One declared herself hungry, so I knew she was ok! It was a fantastic afternoon and I hope one the girls (and us) will remember for a long time.